If I feel like I’m always running, it’s because I am. Today I had to figure out how to prepare for Shabbos–when we’ll be hosting sheva brachos–run some errands and take care of my baby. And the only thing I wanted to do? Run. That meant I did it all, while running. With Granola Baby strapped in the jogger, we dropped off kids at camp and headed 2 miles southeast to a local produce store. I grabbed some rhubarb, and the sleeping baby and I headed back home to prepare. Sometimes a little creativity is all it takes to squeeze in a workout. Especially on a Friday. But just when my week seems to be too much, and I’m not sure how to squeeze in all that I hope to accomplish, I find some space for my own thoughts (usually while running). I can’t help but think I’ll one day miss these hectic years. Sure, I hope to get to do more of the things I enjoy one day, like reading books on the beach, gardening more and spending time with friends. But for now, I’m trying to appreciate what a special time it is to be raising young children. And as for Shabbos sheva brachos? 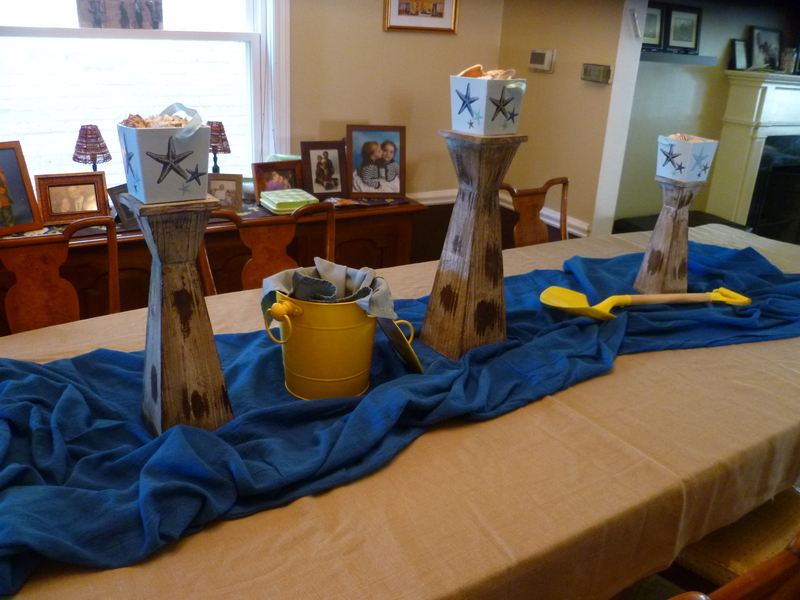 We’re having a beach-themed lunch. Maybe I’ll even get to pull up a chair and read a book.